To enter this website you must confirm to be of Legal Drinking Age in your Country. VKA originates from the pristine Tuscan Apennine hills of Mugello, where springs of crystal clear water quench stretches of gold wheat. 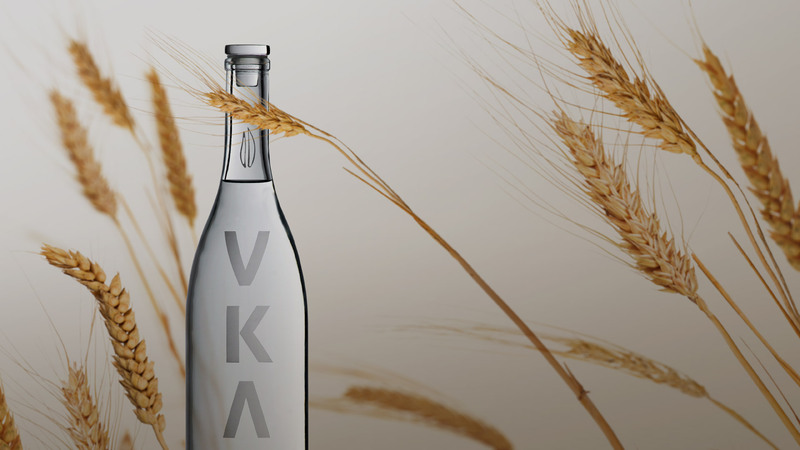 VKA was born listening to the voice of the sheaf of wheat shooked by the wind, releasing aromas of juniper, anise and wild apples. 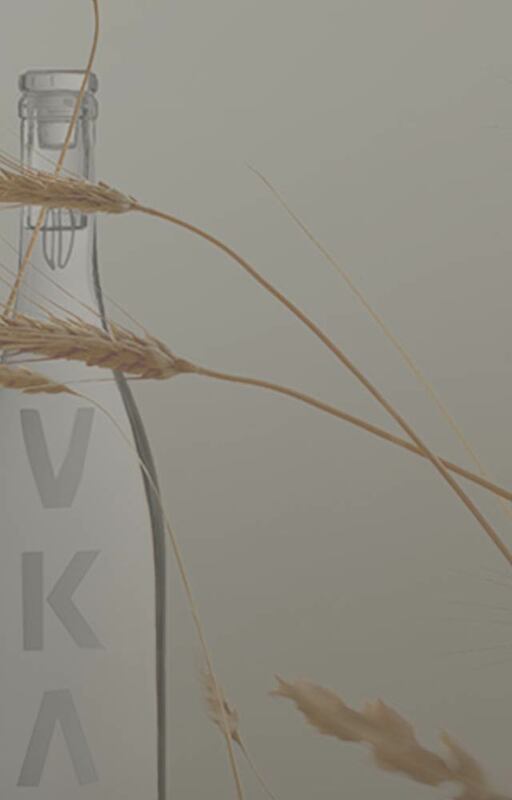 VKA captures water, wheat, wind and earth to preserve them in transparency.A bottle of pure, clear glass, crystalline and essential, underlining a concern for the utmost eco-sustainability. 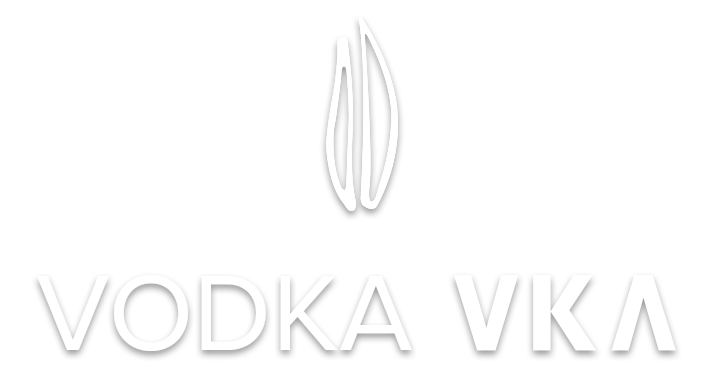 1oz.VKA, 1/2oz. Maraschino Luxardo, 1/2oz. Amaretto di Saronno. Add all ingredients into a cocktail shaker filled with ice. Stir and strain into a well chilled cocktail glass. Rub the rim of the glass to make the salt flakes, sugar and tasted almonds stick. Garnish with orange slice, cherry and almond crunch. A “Crooner” cocktail, with a distinct bitter almond aroma that dissolves to leave a fresh vodka aftertaste that yet recalls a bitter sweet Marasca cherry. Chocolate and cherries, Amaretti cookies, salted almonds. A venison fillet braised with cherries preceded by a yellow squash soup with Amaretto garnish. 1 oz.VKA, 2oz. Sambuco syrup, 1 teaspoon Raspberry syrup, Prosecco. Add all ingredients into a cocktails shaker filled with ice. Stir and strain into a chilled cocktail glass. Lime, raspberry, sugar, cranberry and muesli crunch. Fresh and thirst quenching. Reasonably alcoholic with a light scent of berries. 1oz.VKA, 2oz. Sambuco syrup,1 teaspoon Scotch, Prosecco. Dried fruit: apricot, prune,raisin, dried fig, date. . Refreshing and thirst quenching, yet with an interesting toasted note. An oven roasted pear, white peaches. A rollè of smoked wild salmon with a dill vinaigrette. A spoonful of caviar or a rustic crostino with salted anchiovies. 1oz.VKA, 2 oz.Apple juice, 1 teaspoon Raspberry syrup, Prosecco. Apple fan. Raspberry, blackberry. Raspberry filled with anice syrup and/or olive. Fruity and spicey. A drink to savor in company under the shade of a leafy veranda. A Golden apple or green olives. Slices of fresh pineapple and even a salad of apples and potato with mustard and dill. Born in a historic eighteenth century villa, VKA was developed one of the most scenic areas of Mugello from which one can admire the Medici fortress of San Martino, the castle of Trebbio and the Cafaggiolo Castle, the latest declared World Heritage Site. The view of this area signifies the "vision" that animates the entire project: stretches of flourishing wheatfields from which one can follow the stages of cultivation and production.